Your kitchen is one of the most important rooms in your home. Here is where you create delicious meals and bond with your family in the process. This is the reason why you should always update your kitchen to fit your changing tastes and lifestyle. May it be to enhance functionality or follow design trends, you will need equipment for your kitchen renovation. There are many different tools you can choose from. When making a choice, select the ones that will make your renovation easy and safe. A good-old trusty hammer will always come in handy in any renovation situation. Anyone doing construction work should never leave their house without one of these. You can use solid-steel hammers to drive nails, forge metal, break objects apart, and so much more. You will be able to easily update the design of your kitchen, and put in different fixtures and installations. One with a ripping claw will also be of very good use. This could be used to lift nails and break wood apart. Demolition bars come in various sizes and lengths. This is utilized by jamming the bar between hard surfaces to yank them apart. This is a definite must-have for renovation work that requires you to tear down already existing structures. This will make it much easier to uninstall fixtures that are no longer needed. There are various kinds of saw blades – circular saws, jigsaws, and reciprocating saws. These allow you to cut through hard objects such as wood, plastic, steel, and other materials. More commonly, homeowners who have their kitchen renovated will want to put in better counters or cabinets. 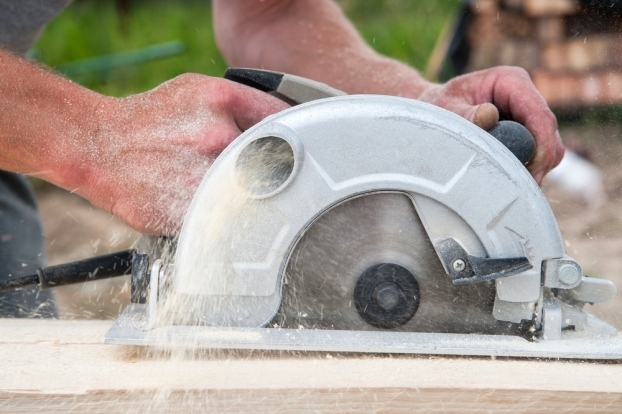 With a power saw, you will be able to quite easily construct and put together any structure you wish to include in your new and improved kitchen. Drills are used to make holes in pipes, cables, steel, wood, and other surfaces. A cordless one will be a lot easier to use and move around, especially if needed in places that are difficult to reach. When renovating your kitchen, any homeowner would certainly want to install new and more advanced kitchen appliances. Different instruments for cooking and baking spring up from the market all the time. You would want your kitchen to be as state-of-the-art as possible. Oscillating tools are versatile construction equipment. These have interchangeable accessories that allow you to cut, sand, grind, and scrape. You will definitely be able to put this to work in all the final touches of your renovating work. This will help you to easily smooth down countertops and sharpen cabinet edges, among other tasks. Kitchen renovation equipment can be really expensive and difficult to find. Why not make your life easier and rent the tools you need? An established equipment rental company has the best and newest tools that can help you in any kind of construction project. Contact one today for any questions and inquiries about equipment rental!